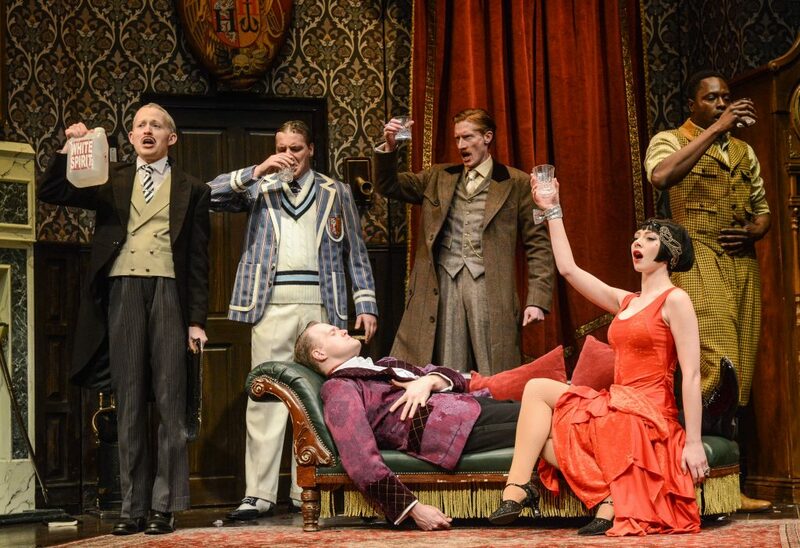 We sent Emma van Kooperen to Chichester Festival Theatre to find out just what keeps going wrong as Mischief Theatre take on a murder mystery by way of Monty Python…It’s all too easy, as you enter the auditorium, to be sucked into The Play That Goes Wrong before it even begins. The cast, deep in character intermingle with the audience to such effect that a lady in the row behind us started joining in the hunt for a mischievous missing dog. Mischief Theatre’s farcical play within a play has been so thoroughly lauded that it’s difficult to keep expectations realistic as Cornley Polytechnic’s Drama Society present their murder mystery. Nonetheless this is a perfectly staged performance held together by consistently exquisite comic timing and some brutal looking slapstick with punches flying that looked almost too convincing! Steven Rostance as Jonathan Harris (playing Charles Haversham) is the funniest corpse you’ll ever set eyes on. It’s impossible to describe how someone can take laying on the floor to such comic heights but he manages it effortlessly. For anyone who has stepped on stage in an amateur production it was all too familiar. The overly shouty thespian might have been a broad stereotype too far and a few gags might have fallen flat but the scene in which a group of performers get stuck in a never-ending loop of dialogue felt eerily familiar and will induce nightmares in many an actor. In short, there wasn’t a weak link in the cast and, for once, this is a show that lives up to every word of hype! In Chichester until Saturday and then on tour.